In my current project I had a scenario where I wanted to (sometimes) replace/not show content from my ASP.NET Master Page on a particular ASPX-page. One way to do this is of course to create a new master page, add necessary content to it and then programmatically use different master pages depending on some parameters (in my case a query string). I'm not a big fan of this solution since it introduces more complexity to the project in forms of new files. 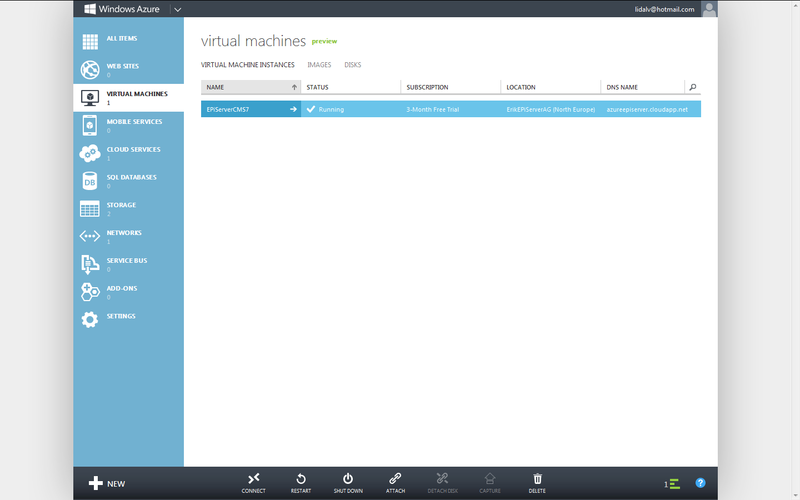 Not long ago Microsoft released their IaaS on Windows Azure, making it possible to run Virtual Machines in the cloud. 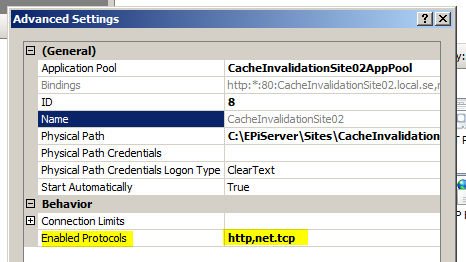 One of the biggest problems with running EPiServer on Azure has been the license model being bound to either MAC or IP address. Neither of these parameters have been possible to maintain persistent. Until now. 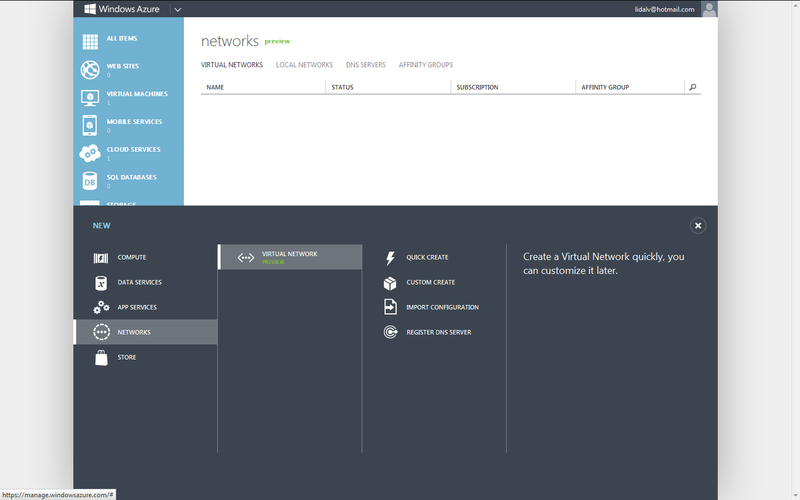 :) With the introduction of Virtual Networks in Windows Azure we are now able to specify the internal IP addresses making it possible to run EPiServer on Azure without any license errors. This blog post shows you how to get EPiServer up and running in the cloud in no time! 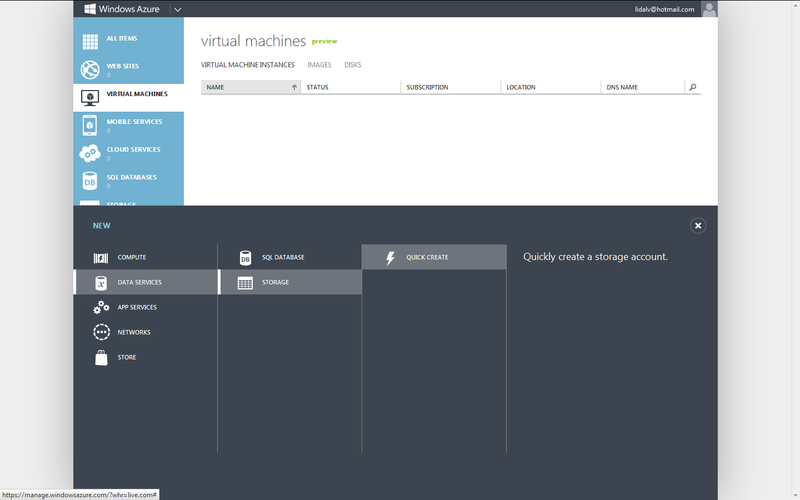 First of all, go and get a free Windows Azure trial here https://www.windowsazure.com/en-us/pricing/free-trial/. Just sign in with your Microsoft account, add some more details and your done! Then navigate to the Portal. The first thing you should do is to create the Virtual Network. This is done by navigating to the Networks section and clicking the "New" button and the bottom left corner. Choose Networks > Virtual Network > Custom Create. This will open a three step wizard. 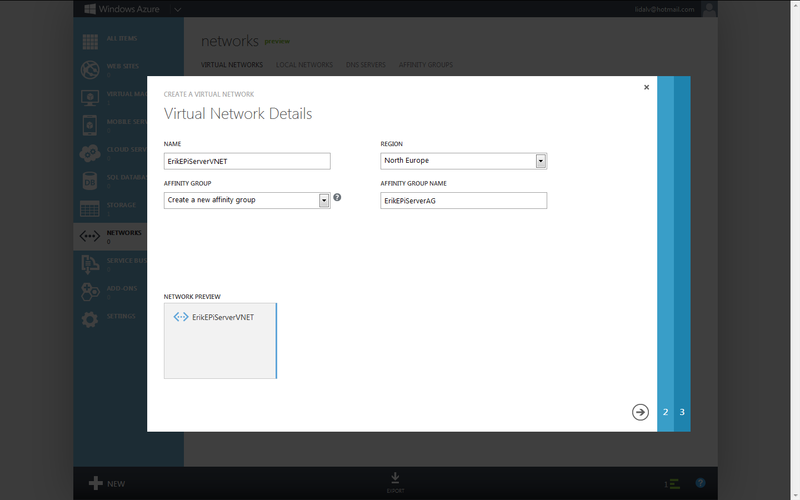 Step 1: Name your VNET and choose to create a new affinity group. Name that group as well. 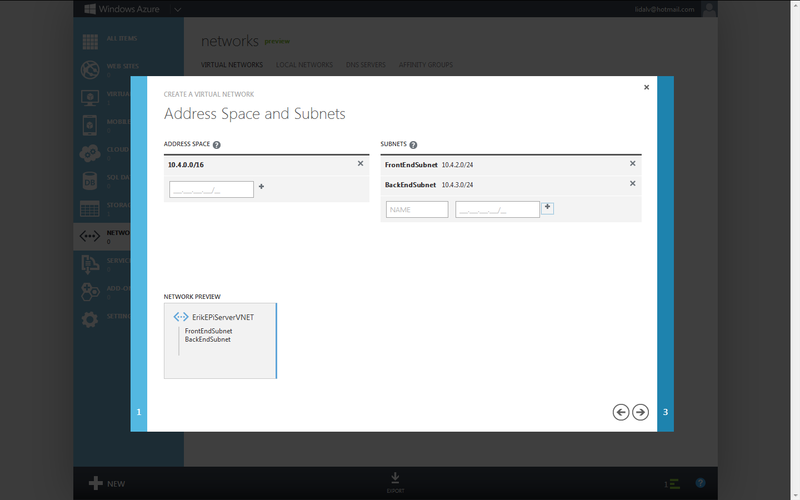 Step 2: Enter address space and subnets. For simplicity you can use the same as I've entered in the screenshot above. 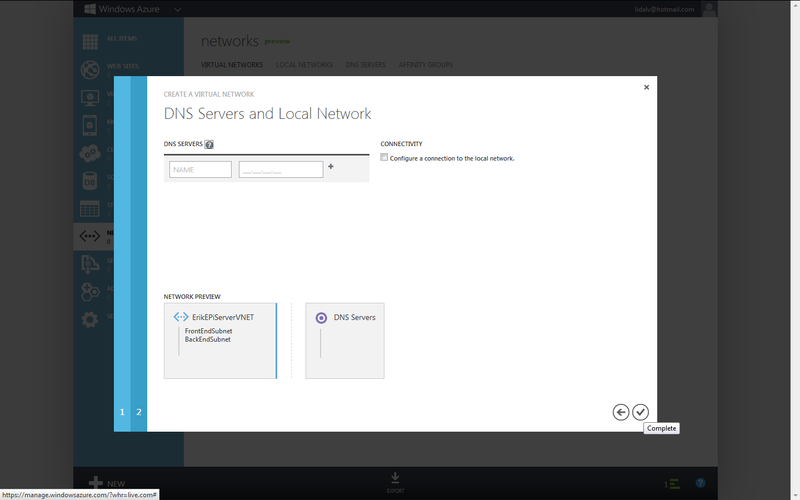 Step 3: DNS server. 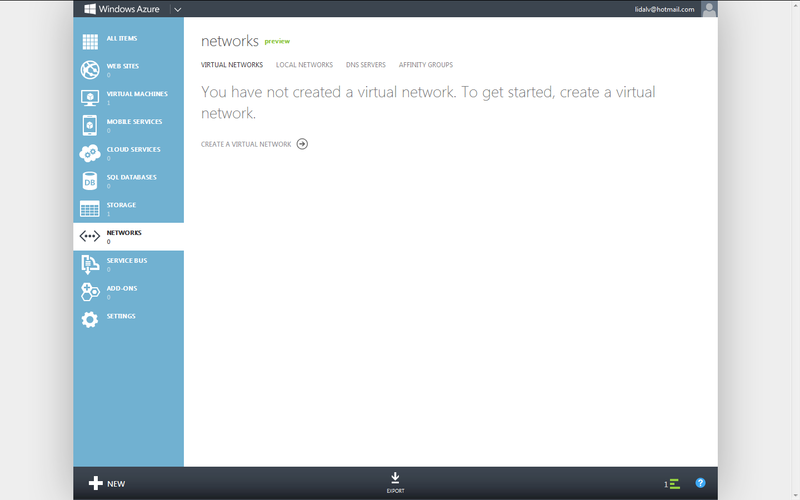 You can just leave this one empty and Windows Azure will fix it for you. Click the Complete button and the Virtual Network will be created! Simple as that. 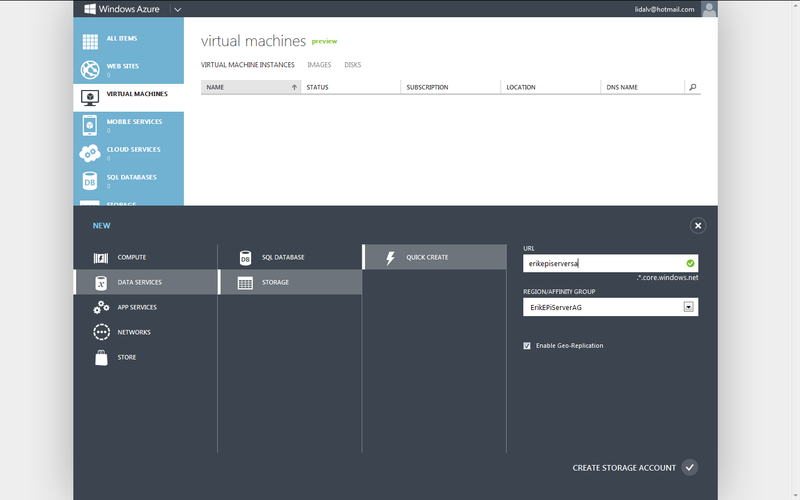 Now we should create a storage to put the virtual machine in. 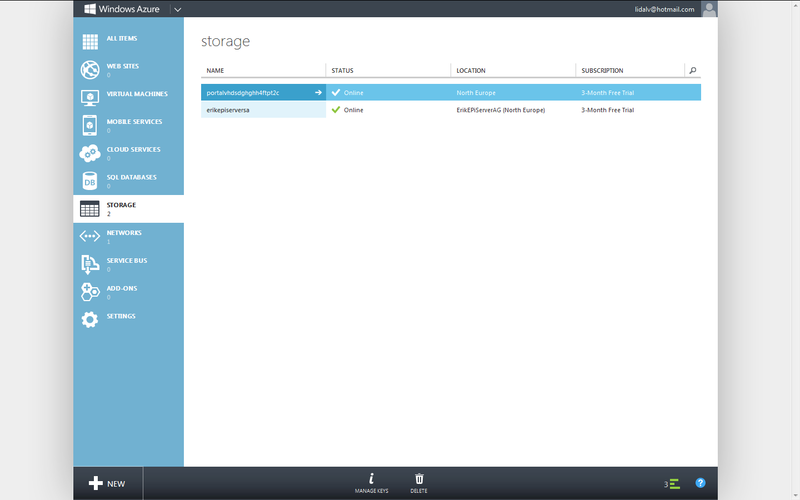 Click the New button again and navigate to Data Services > Storage > Quick create. 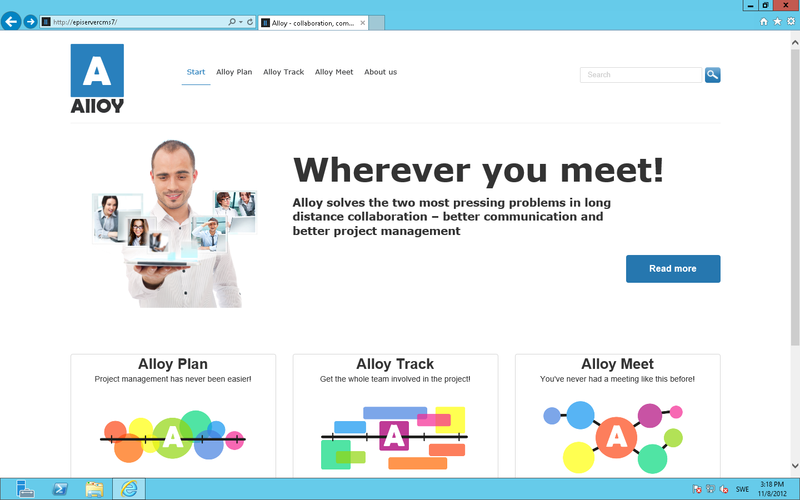 Enter a URL of your own choice and pick the previously created affinity group. Click the Create Storage Account button and you're done! 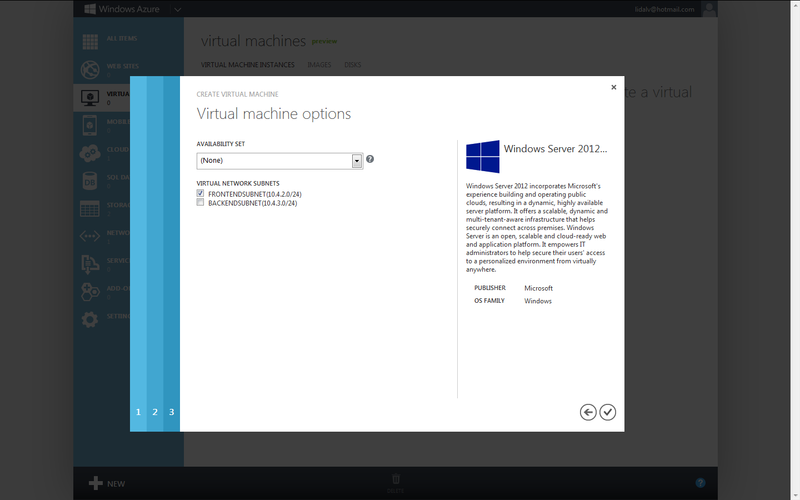 Now we should create the actual Virtual Machine and put in into the storage. Navigate to New > Compute > Virtual Machine > From Gallery. 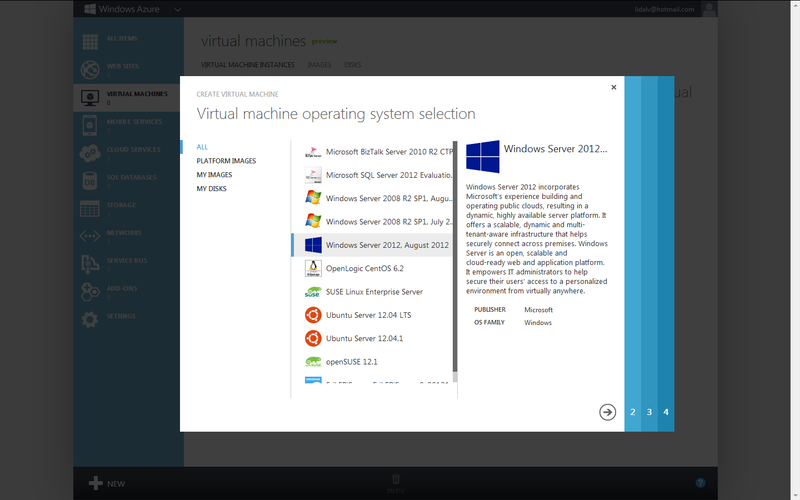 Step 1: Pick the operating system of your choice (Windows Server 2012 of course). Step 2: Enter some basic configuration. 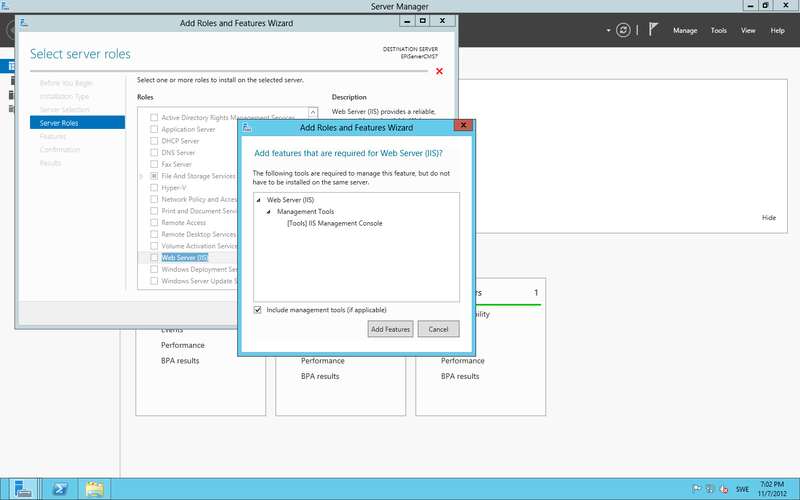 Step 3: Enter a DNS name and select your storage account and VNET. 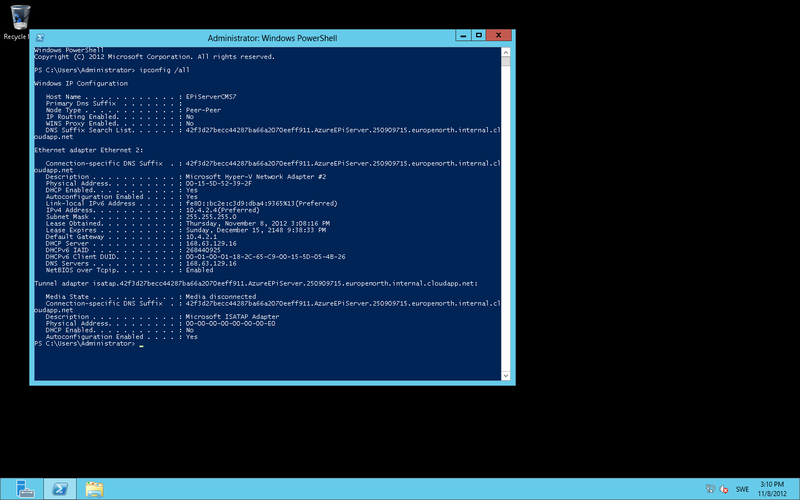 Also make sure you're creating a standalone VM. 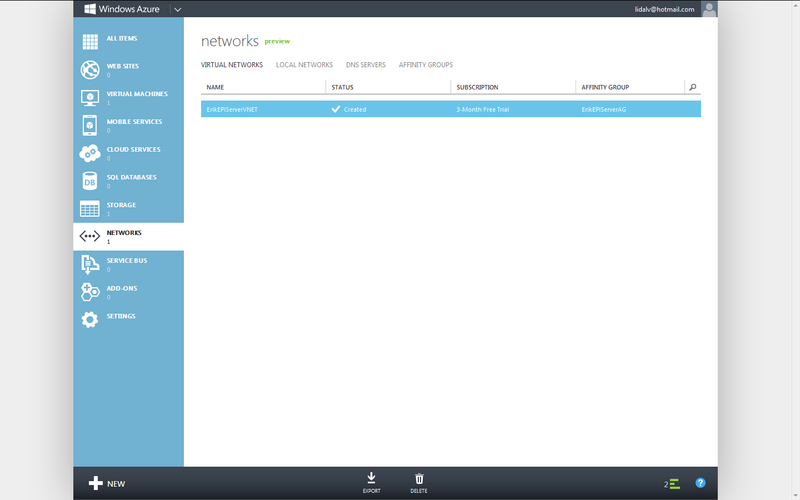 Step 4: Select your frontend subnet and click Create. 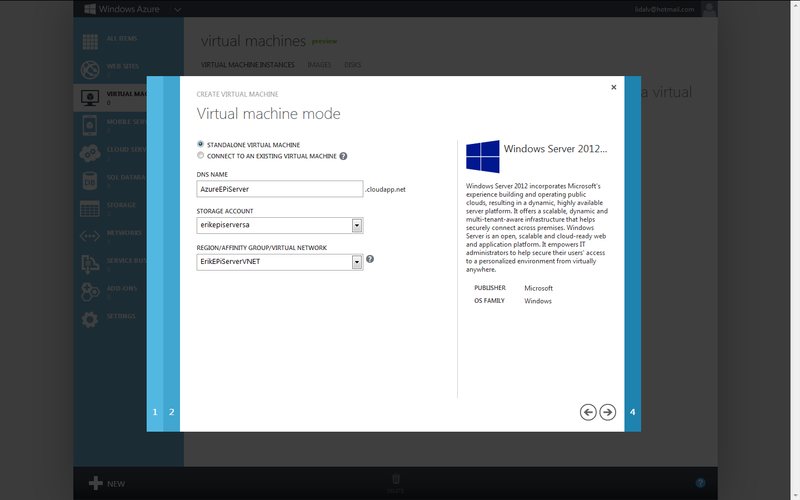 The new Virtual machine is now created! 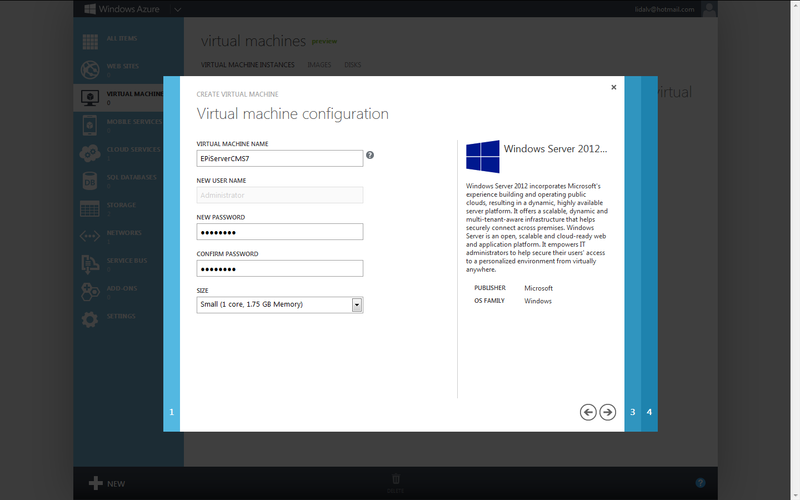 You can click the Connect button at the bottom to access the VM using Remote desktop. And this is actually pretty much it! From now it's just an ordinary server installation. In my case I had to install the Web Server (IIS) Role, install MVC 4 and of course EPiServer CMS 7. ...and that the site is still running. I think that this is really cool! We're now able to easily and really fast get a development/test/staging environment up and running without having to think about aspects of hardware at all. 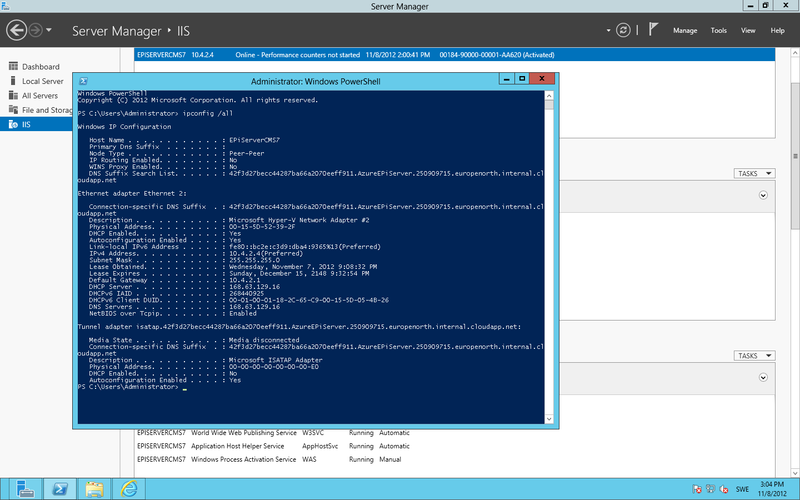 Instead of choosing a default VM from Microsoft it is possible to upload and use an image of your own, making it really fast to set up new development environments for new projects or project members.